A new adventure is underway. A redemption run of sorts. A new chapter to be written in an old and tattered book. A new set of friends to be made. A new goal to be achieved. A new relay to be ran. You really didn’t think I’d let this go, did you? 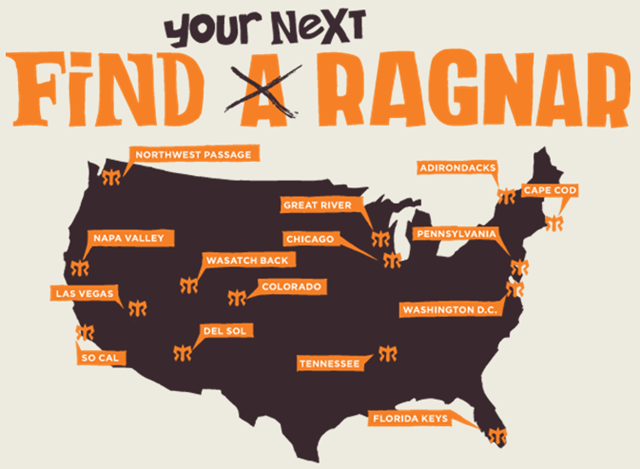 I may have had to sit out of the 2012 Madison to Chicago Ragnar due to a last minute injury (details HERE) but baby, I’m back! Whooooooop!! The only story in Chicago these days is the weather. No, nobody cares about the election, we just don’t want to fly away as the remnants of Hurricane Sandy bear down on us. We are currently under a Wind Advisory and a Lake Shore Flood Warning. Shocker, the lakefront path is closed. And yes, they are serious. In case you were contemplating going out there to “take a peak”, please be careful so you don’t get swept into the surf like last time. Now, I know you all expect me to go out and get you some REAL.LIFE.PHOTOS. I want you to know that I’m not really considering it. I have submitted a proposal to the Association of Chicago Running Bloggers to find a few brave souls to create a human chain of running bloggers to break thru security, sprint to the lakefront and take as many photos as possible before we 1) get swept away or 2) are forced asked to leave. Post inspired by another crazy Chicago Running Blogger, Xaarlin.com, who is seriously wanting to go get some photos of those big waves. I have been trying to hit quite a few local 5Ks as of late. The primary reason is to keep Aby running and having fun in her off season and secondly to try to keep myself pushing so that I can hopefully get up to speed sooner rather than later. I almost feel as if racing each weekend is backfiring on me because I seem to be getting slower which in turn just kills my confidence. If I’m honest, I also have a few things working against me. I am carrying almost 10 extra lbs from not being able to run this summer and it doesn’t seem to want to move out now that I’m back at it. It is very difficult for me to lose weight, I have to be almost perfect with my intake and I’m not even close to perfect. I’ve been hitting my workouts hard, plus trying to race and I’m not getting results in either area. I just don’t feel like I can move. It could be the extra weight. It could be the lack of fitness and endurance. It could be a lingering issue in my hamstrings that is literally being hammered out on a weekly basis but the bottom line is I have heavy feet/legs that I can’t lift up to run fast. I do feel like I’m getting stronger; I’m just not seeing it materialize in the 5K results. So I raced this weekend, I race next weekend at the Hot Chocolate 5K and then I’ll be stepping back and not racing again until Thanksgiving Day at the Running For Kicks 4 Mile Turkey Trot. I won’t give up because I know it takes forever a long time to build back up but as always the waiting is the hardest part. 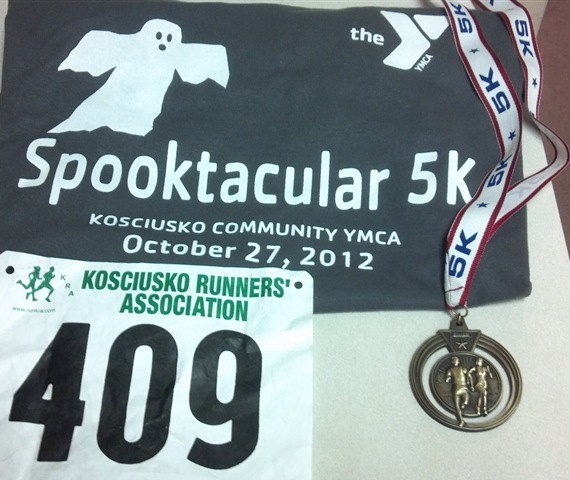 On Saturday, I was out of town and found a 5K somewhat close to my parents, the Spooktacular 5K in Warsaw, IN. I found the race thru the Run Indiana website. The race was hosted by the Kosciusko County YMCA. It was small, cheap and well ran. I rolled into the parking lot at 8:48 am for an event that started at 9. I “normally” don’t like to cut it that close but the cross country travels from my parents house to the race site took a “little” longer than I had anticipated. I easily found parking, ran inside, handed them $20 and my entry form, and they handed me a bib (with chip timing!) and a shirt. I was registered by 8:50 am. I hit the indoor bathroom and was out the door for a very brief warm up by 8:52 am. The race started on time at 9 am. I was a bit nervous standing at the start line because nobody wanted to be near the front. I’m not familiar with the town at all, and found myself damn near in the front row as everyone kept backing away from the start. As the race director spent a few minutes discussing the route, I busted out laughing thinking, I’ll never remember all this! My motto is always to follow the people in front of me and the people in front of me were disappearing before the gun even went off! So we started the race and I was still laughing, hoping that a few people would take off and of course they did and I just settled into my pathetic pace. The cool thing about this town is that they must be very bike friendly because each side of the road had a bike lane, so between the random sidewalks and the bike lane, I never felt crowded or unsafe running on the side of an unclosed road. The course was easy, had plenty of volunteers helping direct runners and it was thru a scenic neighborhood beside Winona Lake and then thru the lakeside parks and artisan area. It was a bit of an adventure and I was looking around checking things out probably more than I was focused on the race. I kept thinking I’d like to go back and check out the area with the family. I really liked the course and there were some rolling hills but nothing crazy. And I do feel like using the word “hills” is somewhat of an exaggeration. There were a few inclines and declines but nothing too intense. I do not think there was water on course and there were not bathrooms but this is normal for a small 5K. There were about 60 finishers and several of those were run/walkers. The awards ceremony was nice. They had the normal age group awards and gave awards 3 deep. This was definitely a race where almost everyone walked away with an age group award. That always makes me happy for people and I feel like they deserve something for getting up and out on a cold morning! 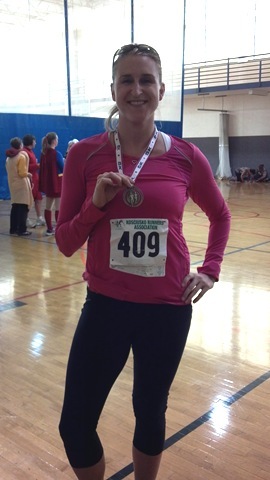 I took 1st in my age group with a 25:25, photo below. I was 4th female overall. 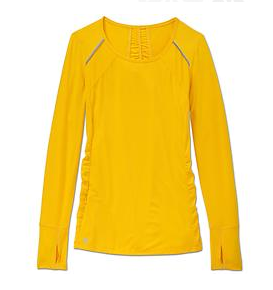 “Run”Way Fashion for the Spooktacular: Athleta Hurdle Top – $69 & Athleta Relay Capris – $69. The Hurdle Top is a new favorite of mine and I’ve worn it several times now. It is long, so don’t order a tall unless you have a much longer torso than me or you’ll have to return it like I did. I normally wear a tall in the Athleta tops but not this one! The top fits great though once I figured out the proper size. It has a small zip pocket in the front, plus long arms with the thumb hole for these cooler fall days! I also love the reflective accents and it has tiny stripes that I didn’t notice when I ordered it. Several color choices. Cute! As for the Relay Capris, I have these in 3 colors, the black (above) which I purchased 3 seasons ago, the blue which I purchased last year and the asphalt (below) which I purchased this year. These capris last and they are the perfect length. They come in regular and tall (for me!) and are a little longer so they hit below the knee. Great fit. Great look. Very flattering. Plus the waist comes up a bit higher to hold in my mommy tummy. Total win! 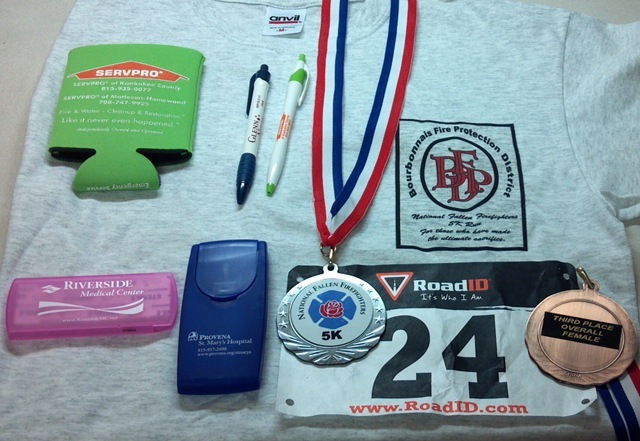 Did you race or just get out an enjoy the beautiful weather this weekend? Do you have a couple pieces of clothing that are your current fall favorites? Tell us! 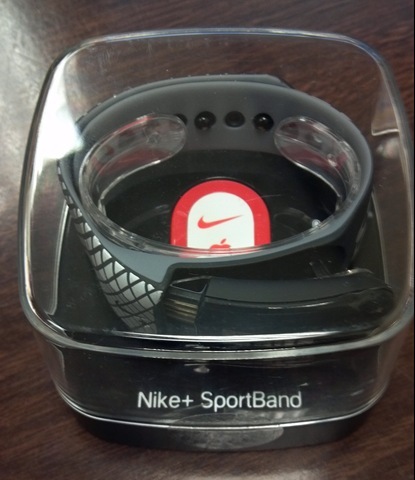 The winner of the Nike+ SportBand is #5 – Julie Belka. Julie, please contact me at amanda@tootallfritz.com to claim your prize! As I read thru the comments on yesterday’s post, I see a common theme. We all run because it makes us happy. Why does it make us happy? For one fraction of the day, it’s just us and our thoughts. It gives us a sense of accomplishment. It allows us to feel as if we are doing something selfish, just for us. It gives us a little peace in a world filled with chaos. We run for the pure joy of running. 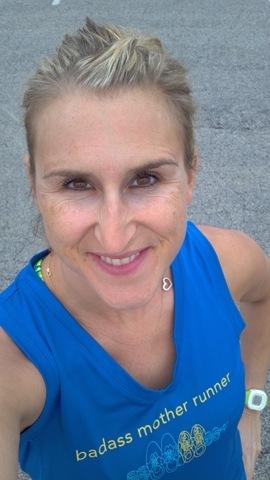 Judy F – So hard to pick one thing….friends, stress relief, nature, physical shape……..THE WAY I FEEL WHILE RUNNING AND WHEN YOUR DONE!!! Amy – …it makes me feel like an athlete. I’m not very athletic and my hand-eye coordination is a bit shady so as a youngster I sat on the sidelines. I love that I am not a participant! Julie B – I love the fact that I am doing something I never I thought was within my grasp. 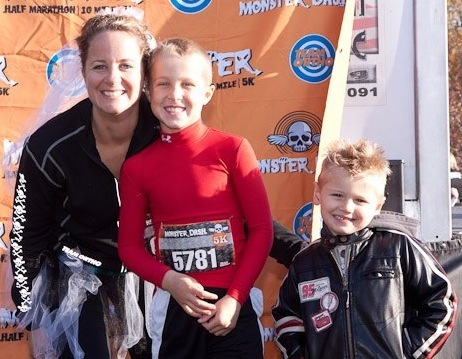 Michelle – My favorite thing about running is the quiet time I have to myself. 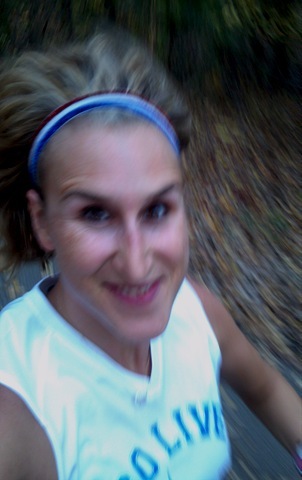 Running Hutch – I love to run because it’s a challenge I can control. It’s never come easy to me but I only have myself to overcome to get better. Lucy S – My favorite thing about running is that when I’m running I feel most like myself. I’m in my element and I’m doing it only to please me! 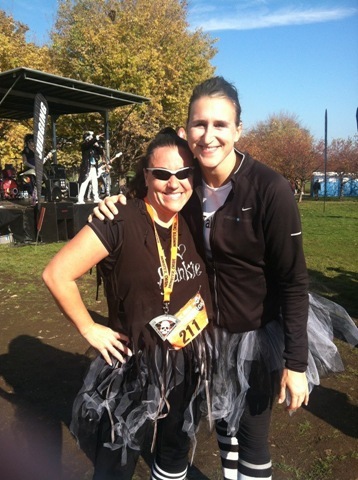 Phyllis – My favorite thing about running is that it has given my years back. Literally added years to my life! Jennifer E – My favorite thing about running is that it’s all about me. I’m not the mom, not the wife, not the nanny…just me. Elizabeth S – It gives me lots of time for prayer! Julie M – Adrenaline high! 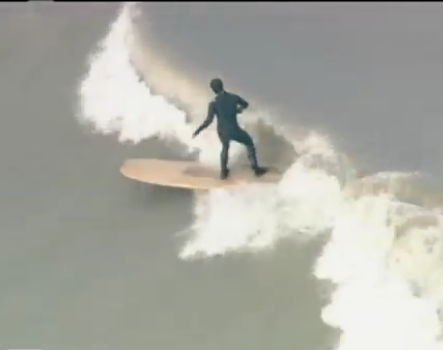 Marel P – The absolute JOY it brings… especially when you go long & strong. I have thoroughly enjoy each and every comment left as to why YOU enjoy running! Thanks for sharing. As for me, the reasons I run are multifaceted. Bottom line is that I just really love running. It makes me feel good when so many things in life may be sad or overwhelming. Its a bit of time for me to just be happy without anyone trying to steal my joy. Now go, log some miles! Maybe you’ll destress along the way, maybe you’ll meet a new run friend, or maybe you’ll just soak in the silence like me. As promised, here is a giveaway to thank everyone for their continued support, in addition to providing a special welcome the all new people! I have one Nike+SportBand in Black/Cool Grey/Silver. This item retails for $59. According to the Nike website, this is a way to simplify your run, please read the details below. Like the freedom of running without a media player? If so, the Nike+ SportBand could be your new favorite running partner. It tracks your time, distance, pace and calories burned in an easy-to-read display, plus it links to Nikeplus.com where you can join challenges, map your routes and connect with friends – all without an iPod ®. The Nike+ SportBand is easy to use. 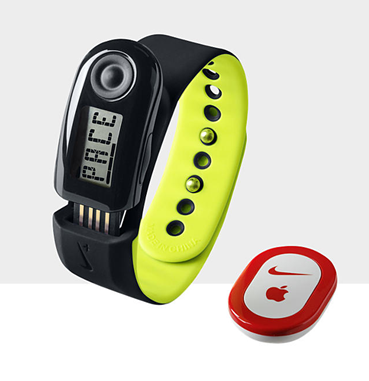 Just put it on your wrist, place the sensor under the sockliner of your left Nike+ ready shoe, and start running. The sensor measures your pace, distance, time elapsed and calories burned. This information is transmitted wirelessly to the Nike+ SportBand for real-time feedback while you train. I thought this might be a good giveaway for this time of year after so many of you just crushed the Chicago Marathon (or other amazing races!) and are now looking to get back to nature and spend some time just doing what you love ….. RUNNING. Remember why you run. Remember that it doesn’t have to be so technical all the time. Remember to stop staring at your watch and look around to take in your surroundings. Remember that there is an entire community of people out there just waiting to connect with you and share your passion for running. 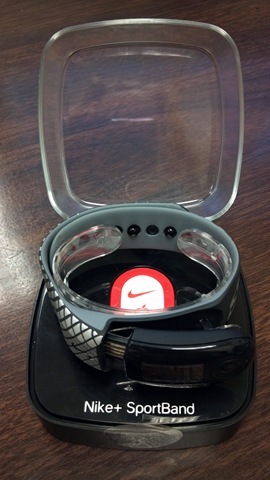 If you want to enter to win the Nike+SportBand, comment below and tell me your favorite thing about running. That’s it. Simple, right? 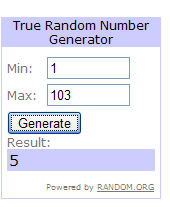 I’ll use a random number generator and pick a winner on Monday at 9am. Good luck! Isn’t that fantastic? 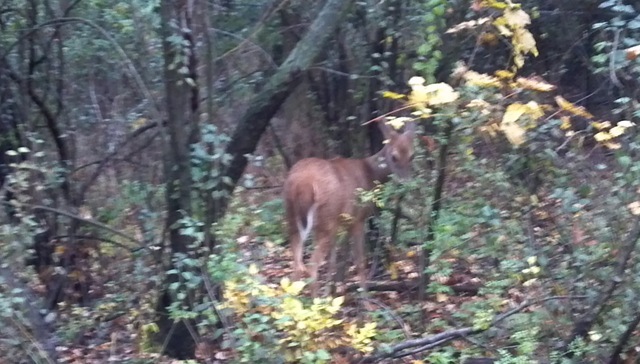 It usually just me and the critters out on the trail now too. It seems as if everyone is in post-marathon blues hiding. I almost feel guilty that I’m this happy. Next up? I need to throw away the candy knock off this weight and start to get serious. I’ve got places to go, people to see and races to run. 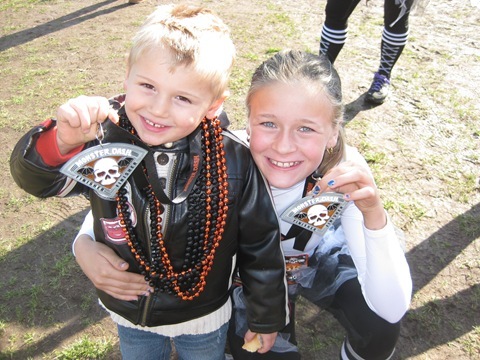 When I signed up for the Monster Dash, it was really on a whim. 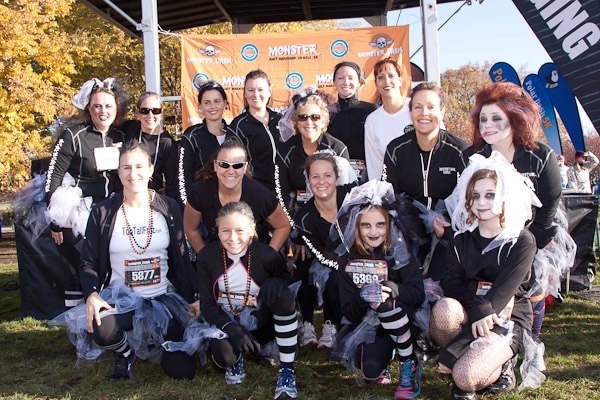 I honestly hadn’t heard many positive things about Team Ortho’s event management skills or the Chicago Monster Dash. But the jacket was cool. 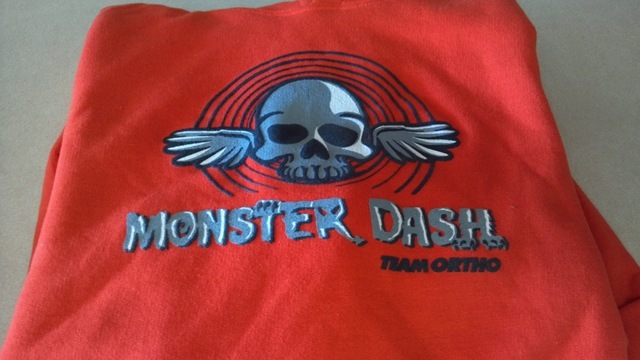 Reflective skulls on one sleeve, and a reflective Monster Dash Finisher logo on the back. Here is Amy C below modeling hers with her son Quinn, and Mr. Michael. Yes, Michael photo bombed their adorable photo! He just couldn’t imagine anyone would want their photo taken without his presence. Once I was signed up and not necessarily expecting a great race, I figured we better make our own fun and dress up. 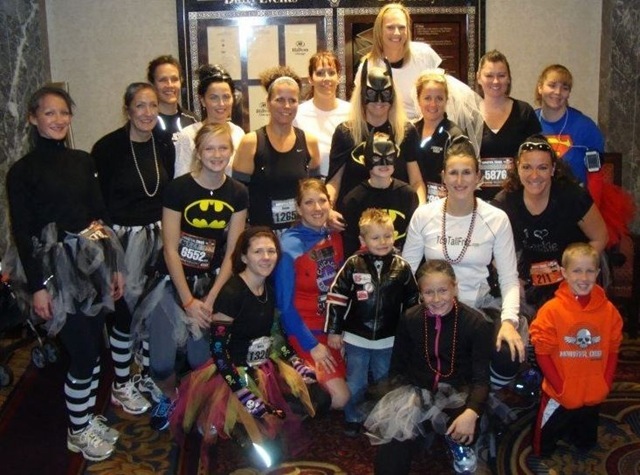 Well what fun is it to dress up solo when you can get a group of F’N Runners to do the same? So we had 18 Brides of Frankenstein (photo below on the left) and lots of others who participated by wearing a costume. F’N Running Club photo below on the right. As for the race, it was everything I expected and more. Yes, the race was crowded at the start, on the Grant Park broken and cracked sidewalks, and on the lake front path. Yes, the run/walkers refused to line up in the proper pace group. Yes, people were handing out candy and I was constantly tripping over candy or someone trying to grab candy. Yes, Aby beat me again. Yes, it was disorganized and lacked direction at some very key points, like near the finish line where the front running 5K runners (like Aby) were stumbling up onto the back of the 5K field and nobody was there to give proper direction. However, it was very festive and the atmosphere was charged with energy & excitement. We also had a ton of F’N support came out to hold our bags, cheer for us and take photos. Here are Aby and I (left below) about a half mile into the race. I tried to pass her about 30 seconds prior to this photo and she kicked it into overdrive and left me in the dust. And you can see that she is still floating while running UP THE HILL into the finish! 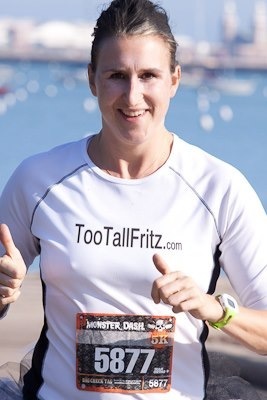 I’m looking a little crazed happy in my on course photo (photo credit to Chicago Monster), and you can definitely see that I’m NOT floating up the hill to the finish but totally representing the underpronated foot strike which I have been trying to correct. All in all, I basically decided that the fun of the event outweighed the poor management, the fact that they didn’t have half of our sizes in the guaranteed SWAG, the fact that this type of event draws non-runners who don’t respect the fact that its important to line up by pace newbies who don’t race much, or the fact that the 5K race was considered a “fun run” and wasn’t chip timed. 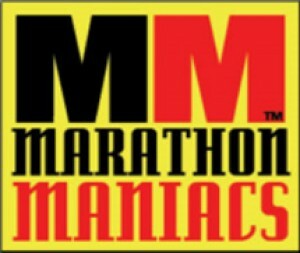 The day spent with my friends, my kids and my F’N Runners made it another glorious race day in the CHI. And it was a glorious day to race. I even enjoyed hanging out for a few minutes listening to the band at the post-race party in Grant Park. Plus, those medals that I normally don’t pay much attention too……well, these are pretty cool. 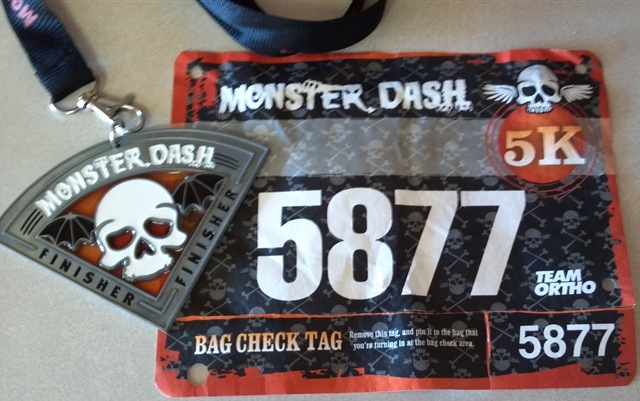 If time and scheduling permits, I would run the Monster Dash again in the future. The venue was great for this event. If everyone lined up properly by pace at the start, I think it would take off much smoother and the course wouldn’t initially seem so narrow and crowded because it did thin out once you ran away from the idiots. I also have hopes they will get a little bit more serious about the 5K portion of the event and decide to throw us a chip in the future. I need to run this distance when the family is in tow and although I always “run for fun”, it is a serious distance to me and I’d like to knowhow fast Aby ran it to get a little respect. I also hope they work things out a little better in the SWAG department and get people the proper sizes. I know Team Ortho is taking on a lot right now and growing fast so I’ll give them some slack but they’ve gotta get it together if they want the want to continue to grow and be successful in the CHI. Good start but needs work. 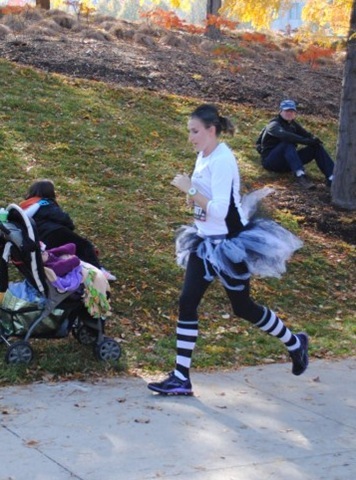 So what’s your 2012 Halloween running costume? 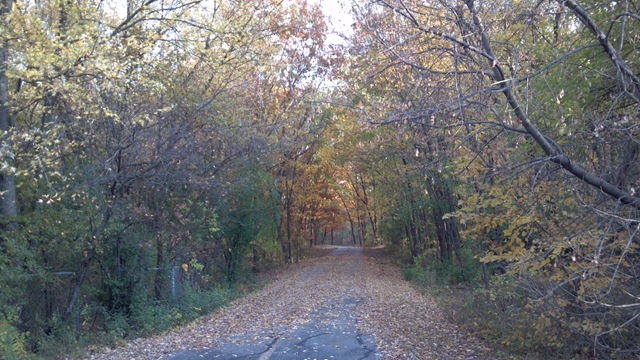 Don’t Be Scared….Try This Trail! With all the talk about Zombie Runs and scary, spooky trials, it’s a stark reminder that many people are honestly afraid to run our glorious trail system. Even more so, afraid to run a trail alone. Well, if we don’t run alone, then sometimes running is not an option. I totally understand. So if you are one of those people who is leery about trying a trail, here is a good one for you. Yankee Woods in Oak Forest, IL. Park in the lot off of Central Avenue, just south of 159th Street. 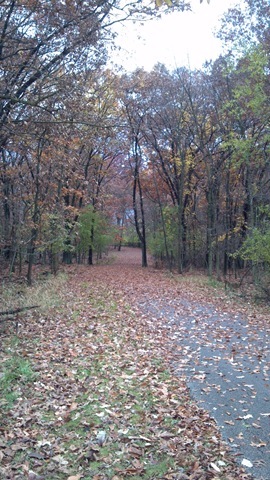 Here is the photo of the 3.1 mile loop. Its super easy, just keep running clockwise and don’t take any of the little spurs. You won’t get lost. 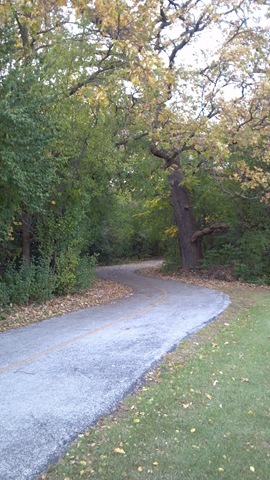 This trail runs the perimeter of the George W Dunne Golf Course and is surrounded by urban area, including busy thoroughfares like Central Avenue and 159th Street. 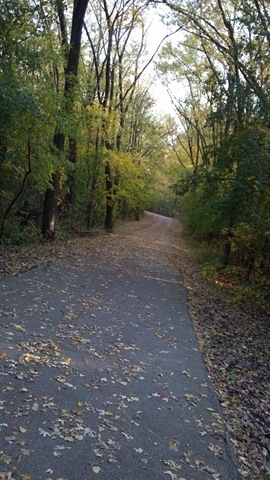 The trail is heavily traveled so no matter what time of day, you will encounter cyclists, walkers, moms with strollers, and lots of runners of varying pace. It’s a small piece of paradise nestled amongst the bustling suburbs of Tinley Park and Oak Forest. It is also part of a much larger trail system for when you get braver and want to explore new territories! If you want and I have, you can run from the Midlothian Reservoir (entrance on 167th Street, just west of Cicero Avenue) all the way into Palos. Great trail. Very scenic. Rolling Hills. 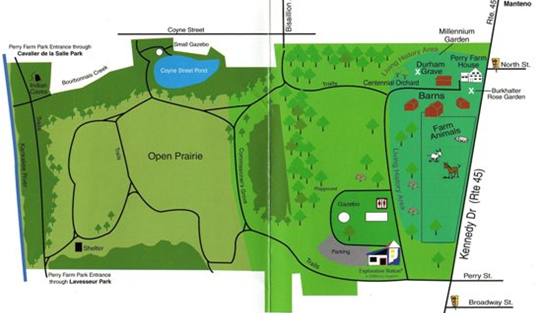 Map below includes the additional trails beyond Yankee Woods. Since the trail is surrounded by people, traffic and the golf course, you won’t ever be alone. If there were an emergency, you could literally bust thru the woods onto a busy street or into a neighborhood with a few steps. There is one section that is somewhat secluded but it’s a very short jaunt. 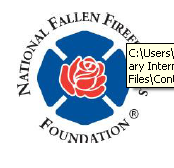 Yesterday was the first annual Fallen Firefighters 5K in Bourbonnais, IL. The race venue was at Perry Farms on Route 45. Several races are held at this location each year but this my first time on site. 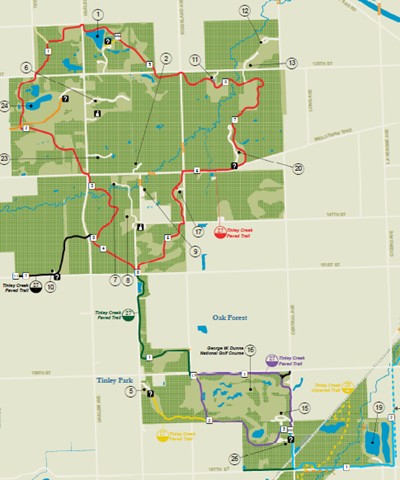 Although Perry Farms is best know for the Children’s Museum, Exploration Station, there are also 4 miles of trails with small rolling hills. 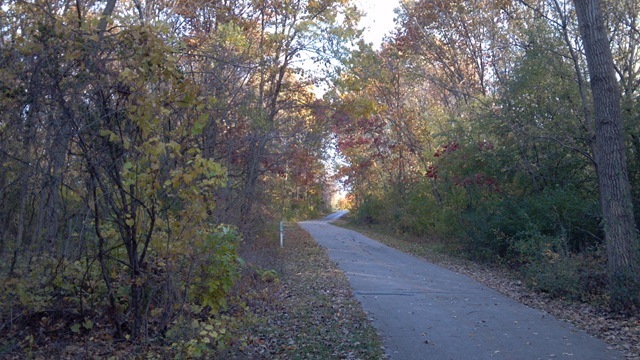 The trails start, just off of Route 45 and circle the grounds, even dipping all the way down for a view of the Kankakee River. Super cool, very scenic, and a place that I would love to run any time of the year. I’ll definitely be going back. 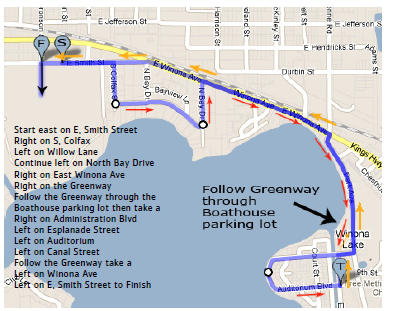 ….. the 5k run ….. course is fast and flat; with the exception of one exciting hill in the middle of the run that will challenge you; this hill is called Challenge Hill. This “hill” was relatively early in the course, before the half way mark, and it is marked with a switchback. For those who haven’t hiked the Grand Canyon aren’t familiar with switchbacks, they were designed to help people transverse mountains. If you go straight up a mountain you would die fall backward. However, if you go from side to side in a switchback like fashion, then although it will take longer (and increases the distance traveled) you will make it safely to the top with burning quads. 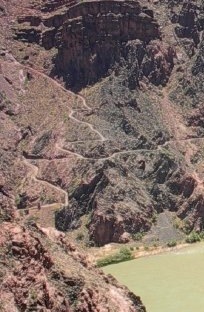 Example of a switchback below. I took this photo in the Grand Canyon in 2005. This is a small portion of the South Kaibab Trail, leading to/from the Colorado River. This is the way I hiked out of the Canyon. Challenge Hill has a switchback. Although nothing to the above degree but a switchback nonetheless. Challenge Hill just about killed me and Aby said that it tough too. We both felt as if this was the toughest course we have ran which says a lot with her just coming off of Cross Country season. Plus she is a very good hill runner. I can’t say the same. My speed and endurance are still low from the injury and hills just zap my momentum and energy. I was totally dead, could have walked faster. Otherwise, the course was pretty normal. Part on the slippery wet trails, part thru a subdivision. Everyone said the course was long. I do pretty well running the tangents and measured 3.22 miles on my watch. It would have been longer for those who weren’t able to hit the tangents. There was a water station at the half way mark. 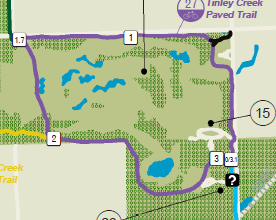 No potties on course but there normally aren’t on a 5K route. No chip timing but the race was very well organized and had lots of volunteers directing traffic and helping us up the hill. The cost was low at $20 for pre-registered runners. Included in the cost was a cotton tee, can cuzzy, 2 first aid kids & a few pens. For those wondering about the Cat & Mouse game between Aby and I…..she won as if that is a surprise to anyone. She beat me by 34 seconds! Our times were a bit off because of the hill course length but she ran a 25:52 & I ran 26:26. That gave us 2nd & 3rd overall female placements. The race was very generous with the awards, going 3 deep for overall male & female placements, then 3 deep in age groups. They certainly didn’t skip on awards and seeing as there were only 73 finishers, a lot of people walked away smiling with some bling around their neck. 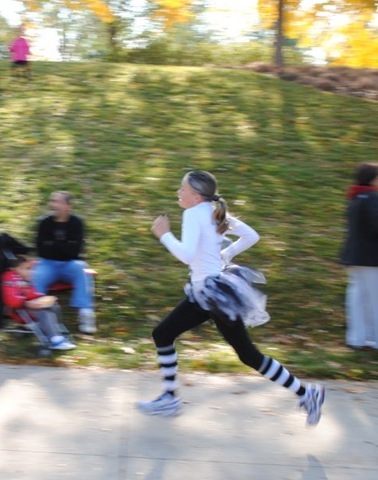 Elizabeth S from the Kankakee River Running Club snapped this photo of Aby running away from me early in the first mile. I managed to stay pretty close to her until the hill. To be honest, I had no idea we were so close to the front. It was a nice surprise to find out we were 2nd & 3rd. The first place woman was in front of Aby by two minutes so we were nowhere near her but apparently in front of the other ladies. This is definitely one that we will run again if our schedule permits. Lots of support on and off course, great awards, great post-race snacks, great atmosphere. 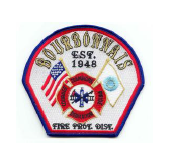 Thanks to the Bourbonnais Fire Department and the Kankakee River Running Club for putting together a great race! See you next year! Let’s be honest, I don’t think any of you are dumb but I do think that things get too technical for the “everyday” runner. I’m an everyday runner, who would like to increase my everyday pace. I don’t want to contemplate terminology that is ambiguous, I mean does anyone really understand the term tempo run? I don’t. I run a variety of paces. Therefore, I don’t know how to calculate my “tempo pace”. Do I use a tempo pace based on what I’d like to run? Or what I might run? Or what I am currently running? Or what I ran last year? Really, what the hell is a tempo run? Don’t tell me, I don’t even want to know. I also don’t want a speed workout that is so scary that I will make excuses not be able to fit it into my life. I like to K.I.S.S. I also like to keep it short and sweet. I’m going to work really hard……but it won’t last long! Okay, I can do this and so can you! I will outline my basic/beginner speed routine that I’ve been using on my treadmill. 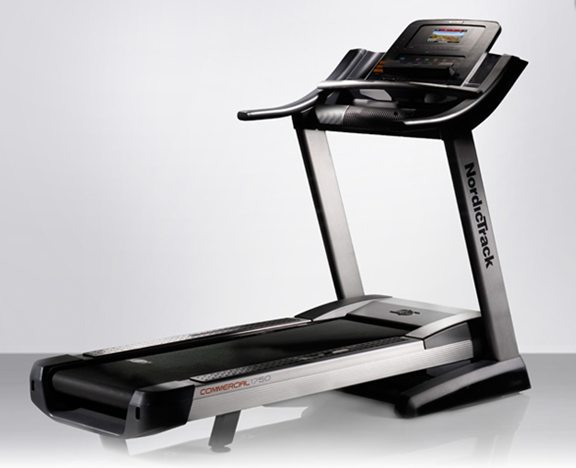 Yes, I actually bought a treadmill (see the stock photo below). Yes, I bought a treadmill just for speedwork. Why? I do all my speedwork at 4am, when the track and gym are both sleeping closed. I know that most would prefer to run outside but the bottom line is that you can’t cheat the treadmill. Not even if you want to, so run, or get thrown off the back. Totally up to you. In fact, maybe you should attach the dorky safety cord like I do. Now proceed with caution and please, adjust the speed to fit your current fitness level cuz I can’t help you if you hurt yourself, I’ll just send you to Dr. Alexis.